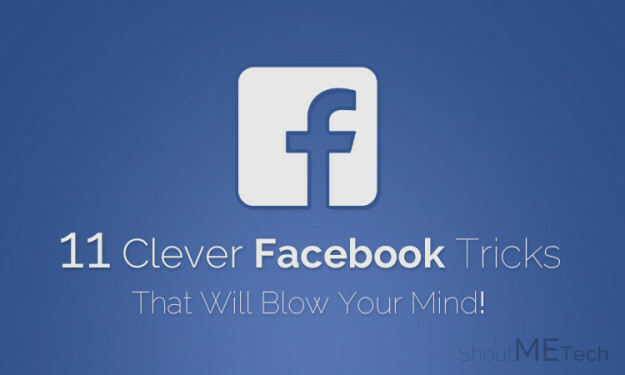 Are you a Facebook geek and spend most of your time there? Then today I am going to share 11 Facebook tricks/tips that you can apply to enhance your Facebook experience. 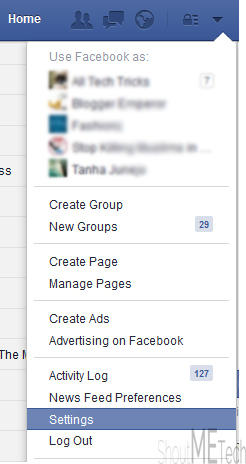 Additionally, there are many tweaks/tricks of Facebook, which are not open to many, yet it exist. Here you will learn those little unknown Facebook tricks that would make you look cool in front of your Facebook friends. Don’t use these tricks in one day, instead use each of these tricks one by one, after every few days. Remember: A good magician will never reveal all his secrets in one day. So, here the list of 11 Facebook tricks and tips begins which you can apply to get something awesome from your Facebook profile. The tricks are going to be unpredictable for you for sure, and you’ll be amazed after applying them. Now, without taking much time of yours, I would request you to get towards the below piece of writing to explore about these tweaks. Firstly, Login to your Facebook Account and Click Down arrow button that you use to Sign Out, and from there you need to Click on Settings. Now, from the left list of menus, Click on Notifications and then Click on Edit button in front of App requests and activity. Afterwards, Deselect all the apps whom notifications you don’t want to get in future and then Click on the Close button, you are done. Now you’ll not receive notifications or requests from unselected apps and games. This may seem weird to many of our readers that how one can update Facebook status without using it? So, friends, it is possible, and I am going to make you learn to do so. 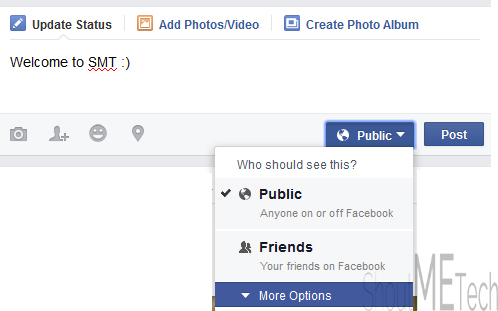 You can easily update your Facebook status and that too without using Facebook from your side. So, apply these steps to learn about it more. Sign Into your Facebook account and Click on Down arrow button then Click on Settings. Now, Click on Mobile from left menus. Afterwards, you will have another window opened. Now you need to add your Phone number, and then you’ll receive a confirmation code on your number, note down that code and then write that code on Facebook opened window; afterwards, click on Confirm button. Now you can easily update your Facebook status or post to Facebook using your Mobile phone with the help of text message. This trick may be required by many of you guys out there. Since, we do lose some of the most important images, videos or messages of our and want to get them back desperately. Now in General Account Settings options, you need to Click on Download a Copy button and ones you have clicked there then it will ask you to enter your Password. Afterwards, a verification message will be sent to your mail, you need to verify it by Clicking the link and then it will take few minutes to generate your data and ones it is generated then it will be sent to your mail address. Ones you got the link, you need to download the file using that link and it will be in ZIP format, you need to unzip it in order to access your data and there you’ll have all your data old plus new. We always share status on our FB wall and sometimes we need to hide that status from some people in our friend list. So, it sometimes becomes necessary to hide our status from such friends to maintain the privacy. First of all, go to your Facebook account and write status that you want to share with your friends. Afterwards, Click on Public or Friends button; depends on your Settings, on the Status window and then you’ll have some drop-down menu, from that menu, Click on More Options. Afterwards, Click on Custom then you will have a window, Now in the second box, named “Don’t Share with this” write the name of your friends with whom you don’t want to share your status. 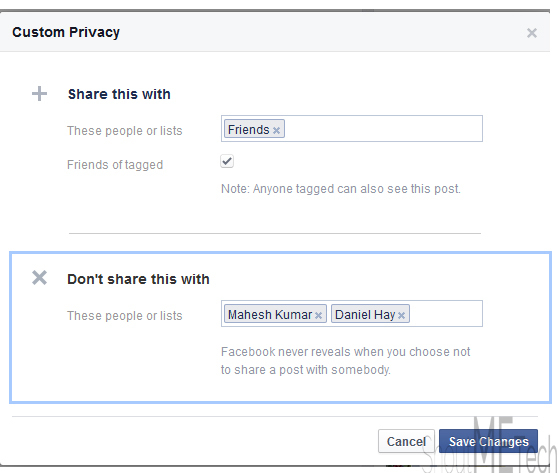 Ones you have mentioned the name of the persons with whom you don’t want to share your status then Click on Save Changes. Now, your status will not be visible to the users whose names you have mentioned. The images that you save directly from Facebook do not give you the original quality of the images; it minimize the quality of images while saving it directly. Therefore, I am writing here to make you learn to download Facebook images in their Original quality. So, the steps are as follows. First of all, Open any image that you want to Download and then Click on Options and then Select the Download button. Now, it will download the image in its original quality. This usually happens that the messages from known and unknown sources will get mixed up, and you go confused between the important and useless information. However, Facebook let you filter messages of unknown persons or who are not in your friend list. Furthermore, you need to enable this feature for your side to avail it. Afterwards, Click on Privacy option from the sidebar and then Click on Edit button in front of Who Can me Contact Me? And then check mark the Strict Filtering. Everyone of us love to prank our friends and mates and that activity is mainly for fun. I personally love to prank my friends and I am sure many of you love this too. Additionally, I am sharing another trick of Facebook which focuses on prank; actually, it is about Facebook status prank. It is about a link which you may use to made any confession related to that link whenever your friend will click on that link then it will redirect him/her to their own profile. Now, Copy the following status and paste it on your wall. You may edit the text portion according to your wish. However, make it catchy and appealing so that your friend may click it. Ones they have clicked on this link will redirect them to their own profile link. First of all, go to Settings and Click on Video from sidebar and then Click on a button in the Video Settings window and select HD if available option. Refer the below screenshot to get more clear idea about it. Open the Chat box of your friend for whom you want to turn off your chat. Then Click on Settings button and then Click on Turn Off Chat for [Your Friend Name]. First of all, Install this extension on your Google Chrome and ones it is installed go to the Options of this extension. Now, Click on Explore and then it will show you all available Facebook themes and then choose your favorite theme and Click on Install. Afterwards, simply open your Facebook account and you’ll have your newly installed theme there. 11- Disable Last Seen – Save your Relations! You simply need to install this app on your Facebook profile and the rest will be done by this. Get the app Link Here. Ones it is integrated successfully then it will remove that last seen option from your chat box. Along with the above list, I have some more extra tips for you too. You may apply these tricks to get little more out of it. However, these are the short yet simple one. You need to Open Chat Box of your friend >> Now Click on Video button and start making free calls to your friend. 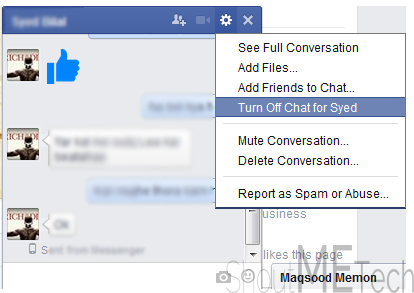 Go to Facebook >> Click on Settings button from Friend List menu at bottom right >> Uncheck Chat Sound. Go to Facebook Settings by Clicking Down Arrow >> Notification >> Click on Edit in front of Birthday >> Select Off. These are some best Facebook tips and tricks. I am sure that this article would have been proven helpful for many of the users out there. If you have any kind of questions or queries left related to this article then do let me know. I shall get back to your questions as soon as possible. Furthermore, if you have found this article helpful then do share it with your other friends and circle. You may never know that any of your friend may be searching for such tricks and your share may help him or her. So, keep sharing and liking our content over social media and keep helping others. Thanks man for sharing those facebook tips! I’ve been a regular user of facebook since the beginning of 2007, and it’s amazing how many hidden feature (or at least hard to find) are out there. Thanks again for sharing, and keep my email in the loop for facebook-related posts. Great Tips! I always loved this kind of tips.. Thanks for sharing with us.. Thank you for sharing wonderful tips about Facebook. I will definitely try them and let you know if I need more help. I used to think hidden things are only beneath the sun! Thanks for sharing very usefull Facebook Tricks for everyone, I have used most of this tricks but Facebook Prank is newly for me, and i have tried with my many of Friends, Lastly Thanks a Lot.